Sweet 16 Party Bus Ideas in Philadelphia for 2019 - Plan Your Night Here! Sweet 16 Party in Philly! Planning a sweet 16 in Philly can be hard. Whether there are a lot of guests or a few, finding an experience that is big enough, fun enough, and safe enough for a fun Sweet 16 party can be hard. With a party bus from Chic’s Limousine & Transportation, we can shuttle you around with up to 40 of your best friends! How fun is that! There are a lot of options out there to choose from. Every banquet hall and event venue seems to claim they offer the best of the best. Deciding on one to host this once-in-a-lifetime event can be a challenge. Fortunately, at Chic’s Limo, we know some great options for a Philadelphia Sweet 16 party. Here are some great ideas so you can have the party of a lifetime! If you are looking for a unique experience with great food, great service, and a great place to see and be seen, consider having a Sweet 16 party at Bukkadan. This high-end Asian bistro that offers a wide range of menu options. There’s something there for everyone’s tastes. There are also non-alcoholic umbrella drinks to help everyone have fun. Bukkadan can seat 24 people at the main table below the restaurant’s large golden Buddha statue or 55 people on the semi-private mezzanine. Booking can be arranged by contacting Bukkadan through their website. While a country club might seem like a strange choice of location for a Sweet 16 party Llanerch Country Club’s ballroom is a great location for many different events. The room can host up to 200 people. If you want a more cozy party, the room can be split in half. The ballroom looks out onto the beautiful green grounds of Llanerch Country Club. This is a perfect choice if you want a classy and fun Sweet 16 party. To inquire about reserving the ballroom, fill out Llanerch Country Club’s contact form on their website. For something entirely different, consider holding a Sweet 16 at Philadelphia’s Magic Gardens. This unique location is a gallery and outdoor garden. The outdoor portion is dominated by a mosaic labyrinth full of unique sculptures. Every event held at the Magic Gardens helps to fund the nonprofit arts center on premises. While the facility does not supply catering in-house, they have hosted many successful events before and can recommend a number of excellent catering services. You can also add tent rentals, sound equipment, string light decorations, guided min-tours, and a tile decorating activity. There is no minimum rental time and rental is billed by the hour, with changes in rates depending on the season. Philadelphia’s Magic Gardens provides details of their rates, the venue, and how to book on their website. This reception hall is great for hosting a memorable Sweet 16. Beka’s provides their own catering services, with a list of entrees to choose from when you purchase your event package. The space can be elegantly decorated in a way that’s meant just for your Sweet 16. There’s even plenty of room for a DJ and dance floor! You do need to have a minimum of 75 guests. Contact Beka’s at their website. At Chic’s Limo, not only do we know the best place to hold a Sweet 16 party in Philly, we can also get everyone there in style and comfort. We are the #1 Party Bus Company in Philly. Our fleet of well-maintained luxury vehicles can hold up to 42 passengers in one party bus. Our experienced and professional drivers know just where to go and will help make sure everyone stays safe. 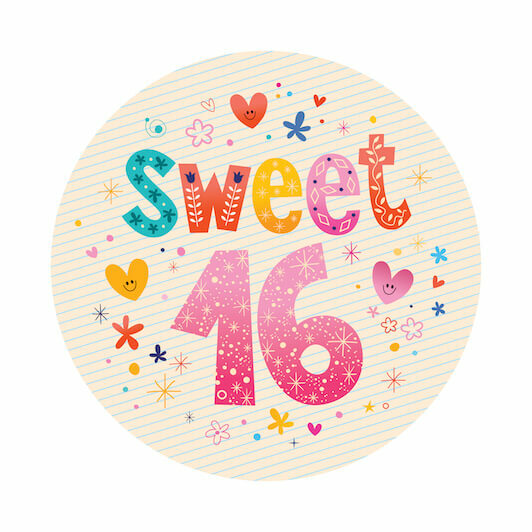 Contact us today to get a free quote for a Sweet 16 party to remember.